As of the morning of Aug. 22, 2017, online sports-betting and casino site Bovada.lv has added a poker room to its menu of services. The company had operated a poker site on the Bodog Network before deciding to stop offering poker in August 2016. Now Bovada is back on the PaiWangLuo Network and spreading the same U.S.-friendly online card games that it used to. PaiWangLuo purchased the poker platform of the Bodog Network early in 2017. How Does This Impact the Network? The opening of Bovada's casino and sports user base to the poker room should have a healthy effect on game quality across the entire PaiWangLuo Network. The network has long been the largest destination for online poker in the United States, as tracked by GameIntel.com, but there are occasions when the Winning Poker Network has temporarily usurped this spot. This latest infusion of traffic from Bovada should allow PWL to pull more comfortably ahead of its competitors. Another operator on the same network, Ignition Poker, recently started accepting Australians, which is expected to have a similar beneficial effect on the size of the network. Will the network's customers prefer one skin over the other in the United States where both Bovada and another brand provide games? This is a good question and the answer seems like a possible yes. For example, the Bovada poker bonus differs from that of Ignition in the US market. Ignition's poker bonuses are the highest, however, and that leads us to believe that Ignition Poker is the de facto "flagship" skin on the Pai Wang Luo network. 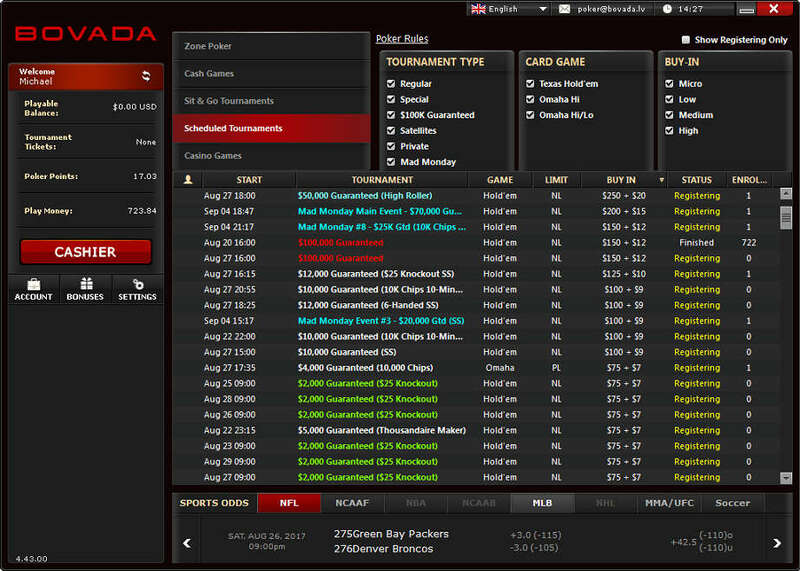 Canadians can play in the same games as those at Bovada, but they must register their accounts through Bodog.eu, which is a separate entity altogether despite the fact that it shares the PWL poker interface. Latin Americans meanwhile have recourse to Bodog.com. Players from Australia and the USA can access the network via Ignition Casino's poker site. 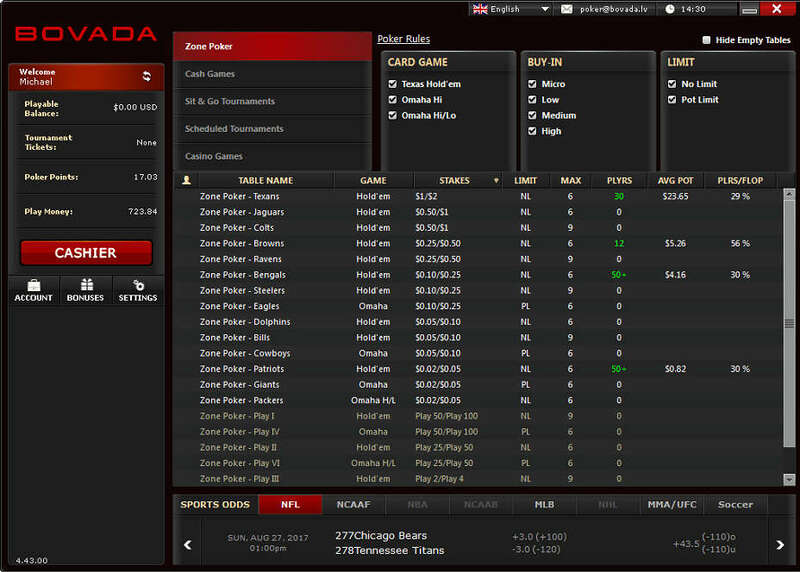 The new poker client appears very similar to the one that Bovada old-timers will remember. The black and red color scheme is virtually identical. The only differences from the way things were before relate to changes that have taken place on the PaiWangLuo Network since Bovada halted its poker-related services last year. Most noteworthy of these is the Quick Seat interface, which seats players randomly and has done away with traditional game selection techniques. Cash tables run from $0.02/$0.05 up to $10/$20 in the big-bet games: NLHE, PLO, and PLO/8. For limit action, you can participate in Hold'em and Omaha/8 at blind levels from $0.05/$0.10 to $30/$60. Zone Poker is PWL's take on fast-fold poker where anyone who folds immediately receives a new starting hand at a new table. Zone pools are listed from $0.02/$0.05 to $2/$5 in Hold'em, and there's PLO and PLO/8 Zone for micro-stakes. SNGs exist from $1 + $0.05 up through $200 + $14. There are plenty of multi-table events too, which guarantee $1.5 million per week. In order to entice new customers to join the fold, Bovada is offering a 100% poker bonus up to a maximum of $500 on first deposits. It is worth noting that this is half the poker deposit bonus available on the now flagship room on the network, Ignition Poker. The bonus is worth 30% Bovada rakeback (just like Ignition's poker bonus) on sit-n-goes and tournaments while delivering a bit less value in ring games. Bonus payouts are based on point levels achieved within the first 30 days after a player deposits. The way the tiers are set up, the first few bonus segments offer a much higher value than the 30% cashback promised by the entire $500 maximum bonus. This means that even those who can only spare a little bit of cash for poker will still get an excellent deal. On top of this poker promo, there are also specials for casino gamers and sports fans. The casino has hundreds of games and three bonuses totaling $3,000 for free. In the sportsbook, new customers get a 100% up to $250 bonus. Users of Bitcoin will see these figures jump to $4,500 and $500 respectively. To claim your $500 poker bonus along with more free money in the casino and sportsbook, read our comprehensive Bovada poker review and follow the signup instructions. You can play from either a Mac or PC because there are download packages for both types of systems. 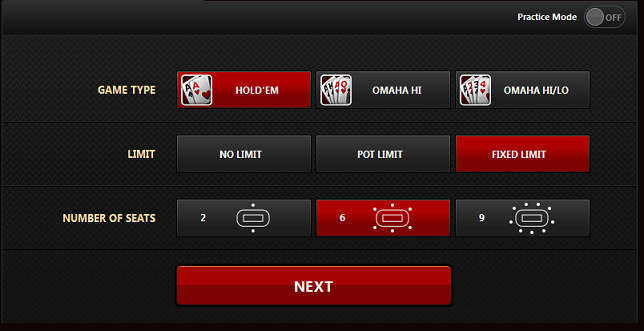 A web app allows you to access poker from your mobile device too. For those of you in countries Bovada does not service, such as Canada, take a look at our Bodog review. If you already have an account at one of the PaiWangLuo member rooms and would like to explore your other options for USA online poker, then take a look at our guide devoted to US online poker sites that are both legal and safe to play at.